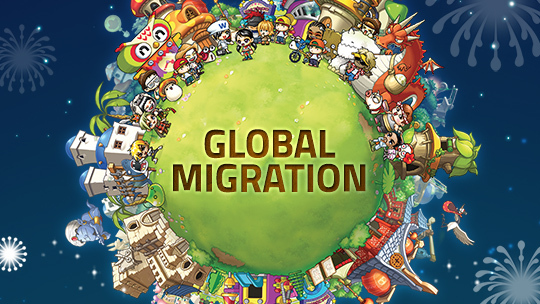 Today, the official site of Maplestory released the deadline of the MapleStory Global Migration. "Be sure to migrate your account data to Global Maplestory by 5:00 PM CET (8:00 AM PST) on January 11." the Maplestory Twitter account said. MapleStory have been performing service migrations to bring former Europe MapleStory players into Global MapleStory since November 2016. This allows European players to experience all of the current and future events occurring in Global MapleStory. If you are a former Europe MapleStory player and have not yet migrated your account data to Global MapleStory, you have until 5:00 PM CET (8:00 AM PST) on January 11. Once the Migration close after the deadline, you will not be able to migrate your account. The last service migration maintenance will occur the following day on January 12. Players need to visit the migration site and follow the instructions to accept both the service migration and the MapleStory game migration and then your Europe MapleStory account data will migrate to Global MapleStory. It should be noted that you must have completed the migration steps before 5:00 PM CET (8:00 AM PST) on January 11 in order to play Global MapleStory.